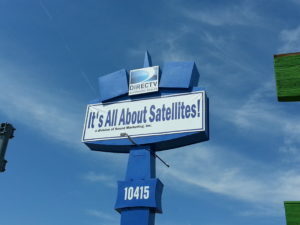 Its All About Satellites an 18 year old DIRECTV Dealer and Audio Video Contractor that is growing fast with residential, commercial and hotel installations across the nation. We are looking for an experienced Satellite TV installer and just placed this ad in several local and online publications. Come join one of the best and fastest growing companies in the satellite TV industry. Contact us today to help us grow and meet the demand of our local and out of state customers. HOURLY POSITION, HOLIDAY & VACATION PAY, COMPANY VAN’S! GREAT OPPORTUNITY TO ADVANCE SKILLS IN THE SATELLITE INDUSTRY!! A valid driver’s license, clean driving record and able to pass background check and drug screen. SBCA certified and/or other industry certifications A HUGE PLUS. Basic tools of the industry. Self-starter, detail oriented, team player. Must be able to travel and work weekends with some overtime. Come join one of the fastest growing companies in the industry.